Ecclesall Kids Club considers health and safety to be of utmost importance. We comply with The Health and Safety at Work Act 1974 and the Workplace (Health, Safety and Welfare) Regulations 1992 at all times. The Club has appropriate insurance cover, including employer’s liability insurance and public liability insurance. Undertaking relevant health and safety training when required to do so by the manager. Any member of staff who disregards safety instructions or recognised safe practices will be subject to disciplinary procedures. All accidents, incidents and dangerous occurrences are properly reported and recorded. This includes informing Ofsted, child protection agencies and the Health and Safety Executive under RIDDOR (Reporting of Injuries, Diseases and Dangerous Occurrences Regulations 1995) where appropriate. All reported accidents, incidents and dangerous occurrences are reviewed, so that preventative measures can be taken. Chemicals and cleaning materials are stored appropriately, and in accordance with COSHH data sheets. Daily environment checks are carried out in accordance with our Risk Assessment policy. Children are not allowed to leave the Club premises during the session unless prior permission has been given by the parents (for example, to attend other extra-curricular activities). During Club sessions all external doors are kept locked. Staff monitor the entrances and exits to the premises throughout the session. During outdoor sessions the gate is staffed near collection times and locked with a coded padlock during the remaining club hours. All visitors to the Club must sign the Visitor Log and give the reason for their visit. Visitors will never be left alone with the children. Security procedures will be regularly reviewed by the Manager and Coordinators, in consultation with staff and parents. All furniture, toys and equipment are kept clean, well maintained and in good repair. We select toys, equipment and resources with care, and we carry out risk assessments before the children are allowed to use them. Broken toys and equipment are disposed of promptly. We ensure that any flammable equipment is stored safely. Staff at Ecclesall Kids Club maintain high standards of personal hygiene, and take all practicable steps to prevent and control the spread of infection. A generally clean environment is maintained at all times. Toilets are cleaned daily and soap and hand drying facilities are always available. Staff are trained in food hygiene and follow appropriate guidelines. Waste is disposed of safely and all bins are kept covered. Staff ensure that children wash their hands before handling food or drink and after using the toilet. Cuts and abrasions (whether on children or staff) are kept covered. Spillages of blood, vomit, urine and faeces will be cleaned up immediately in accordance with our Bodily Fluids policy. Staff ratios and levels of supervision are always appropriate to the number, ages and abilities of the children present, and to the risks associated with the activities being undertaken. A minimum of two members of staff are on duty at any time. Written in accordance with the Statutory Framework for the Early Years Foundation Stage (2014): Safeguarding and Welfare Requirements: Safety and suitability of premises, environment and equipment [3.54-3.64]. 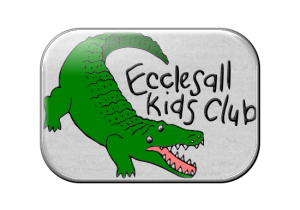 Ecclesall Kids' Club is regulated by Ofsted. We are rated Good. Our registration number is 300856. Ecclesall Primary School although we are a separate organisation to them.